Buy a Unique Modelmaking Guru Model! finished builds to go - get you one! MODELMAKING GURU MODELS FOR SALE! Welcome! Here you will find pieces that are currently available for sale either directly from me, or though my eBay store at the specific link in the item description. Take a look! Please also refer to the Contact & FAQ page for more information on buying and prices before you commit to a purchase. As always, click on any image to embiggen it. Please note: if an item is listed for sale on eBay I will not enter into discussion of the sale or accept offers outside of eBay. The entire build was filmed from start to finish (the final episode, 10, will be available within the week) so if you would like to see the build and paint in action, go check it out right here. 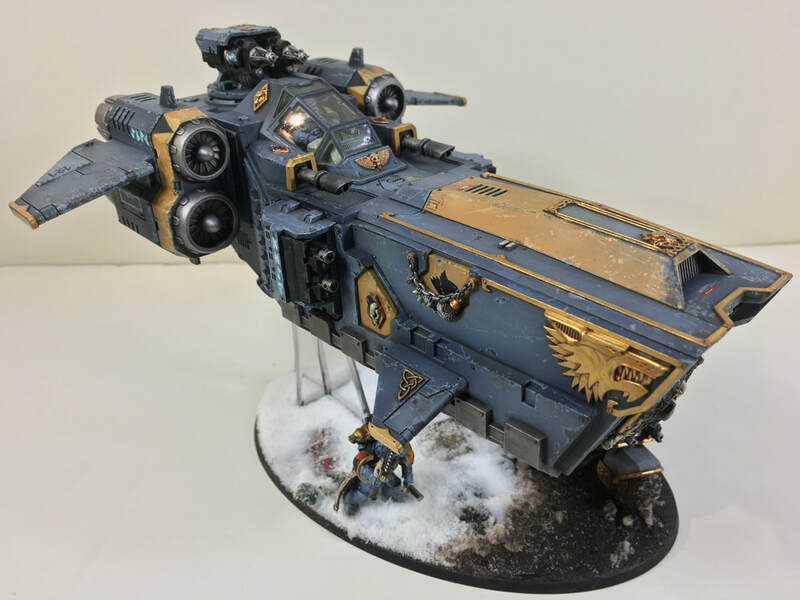 This is a lovingly painted and weathered Warhammer 40K Stormfang Gunship, built as a Storm Wolf Assault Craft. 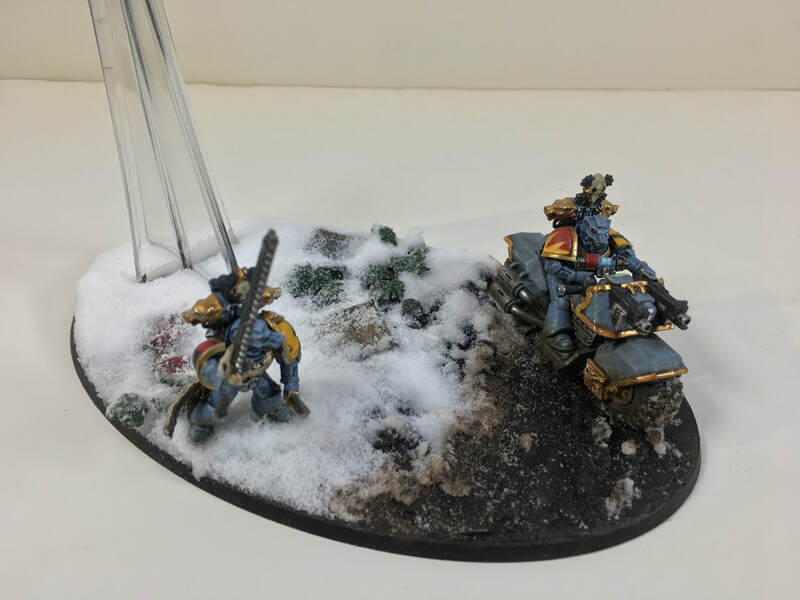 Included with the flyer model is the custom diorama base which includes two custom Space Wolf figures in a ruined, snowy and deserted battleground, one on a custom Space Wolves Space Marine Bike. The Stormwolf is equipped with twin-linked Hellfrost Cannons atop the cockpit, and twin-linked heavy Bolters on the sponsons. 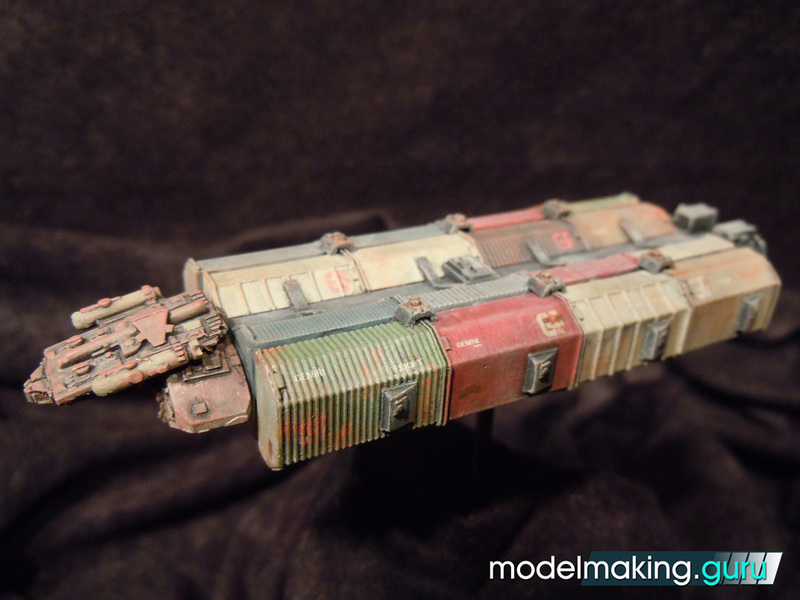 It also features an opening fore access ramp and fully-painted and weathered interior passenger cabin. The cockpit and pilot are also given a detailed paint scheme and the canopy is painted as frame-only to show this off. 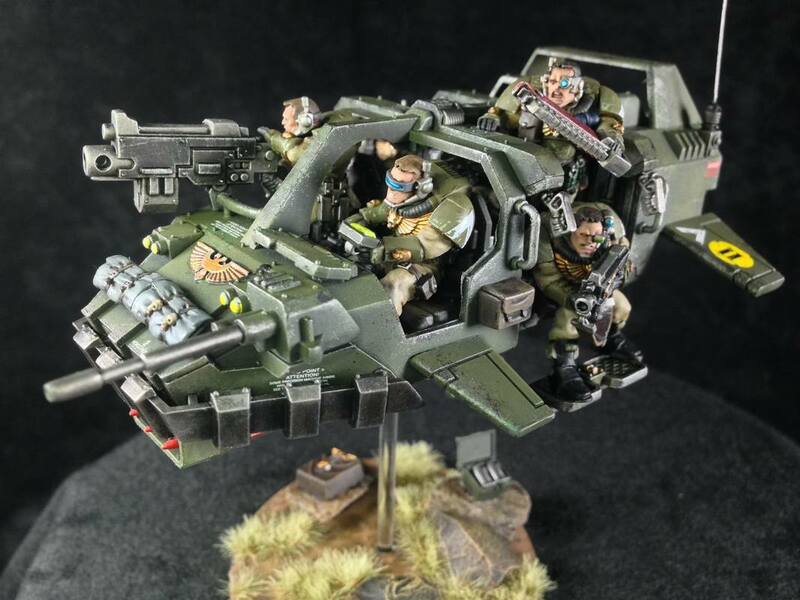 As with the pilot, the the diorama figures are painted as members of the Ragnar Great Company and include a standing Marine with a combat knife and double-bladed chainsword, and the Swiftclaw on the bike wields a Grav Pistol. The bike, of course, carries twin Bolters. 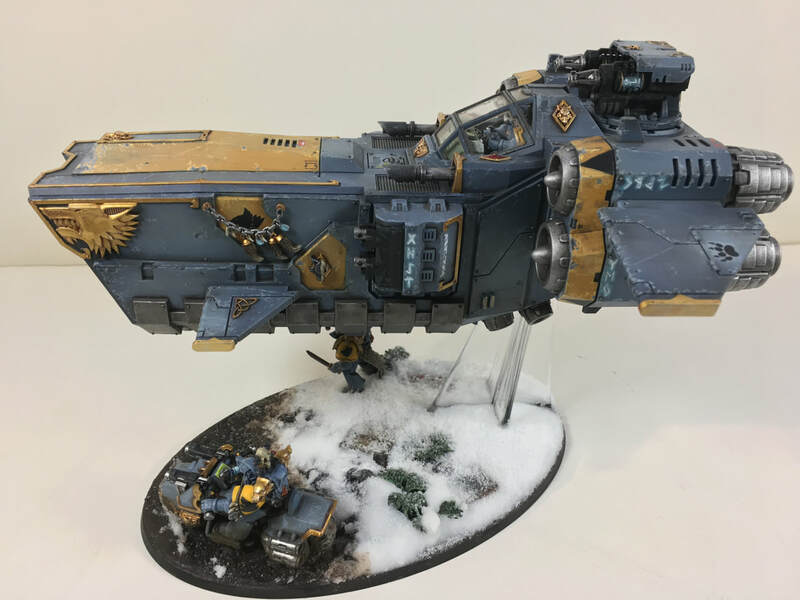 More than 100 hours of painstaking work have gone into this build, using Citadel, Ammo by Mig and Vallejo paints, enamel weathering products and weathering pigments and powders. 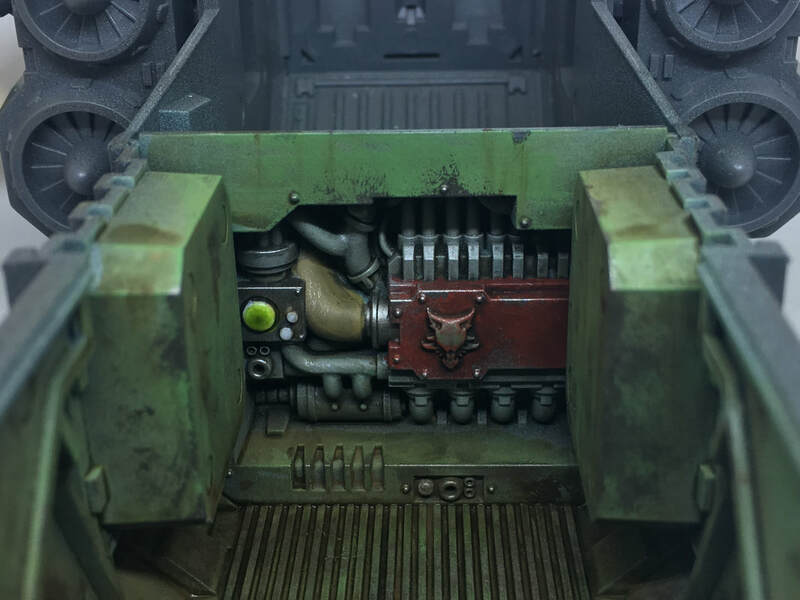 Although no lighting is installed, the interior of the Stormwolf is fully painted and weathered, and the model can be displayed with the access ramp open or closed. The model has been fully protected with varnishes, allowing it to be used in gameplay if you wish. The Stormwolf can be lifted off the diorama for mounting on a standard flyer base. However, this is primarily a display model, so it is strongly suggested that you transfer the flyer to a standard flyer base for gameplay purposes to protect the snow effects on the base. It is also suggested that you handle the model by the clear flyer base stalk and not the model itself during gameplay, to avoid unnecessary wear and tear on the paintwork. Whether you want this to dominate your display cabinet, have a soft spot for SPESS PUPPEHS, or just want to have the most outstanding looking model on the table, this is the model for you. I am not listing this item on eBAY and payment will only be accepted via bank transfer- if you would like to purchase it, please get in touch via the contact page and let me know where you are, and I will reply to you within 24 hours with a final price that includes cost of shipping. ​THIS PIECE HAS BEEN SOLD. The entire build was filmed from start to finish for Patreon supporters, so if you would like to see the build and paint in action, go check it out right here. 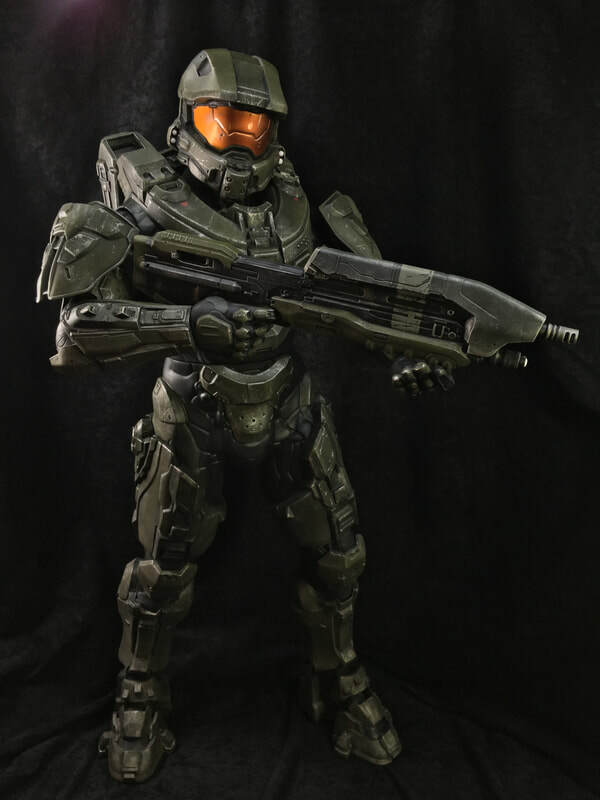 This is a fully re-painted and weathered Jakks Pacific 31" Master Chief action figure. 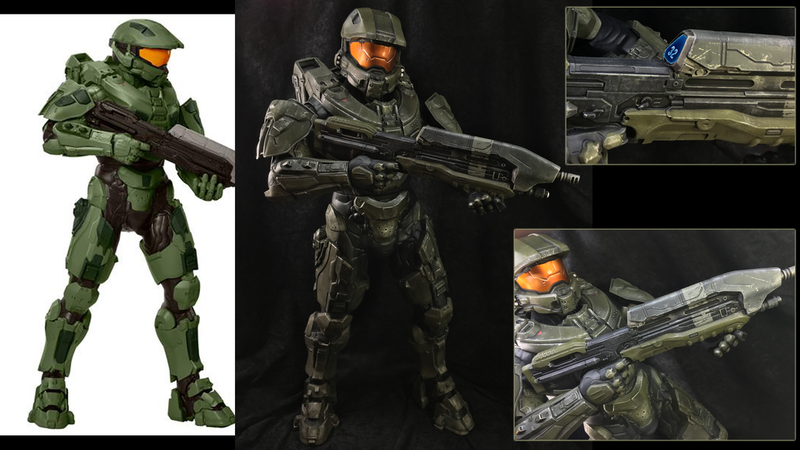 Over the course of approximately 40 hours the rather plain figure was repainted and weathered to more accurately represent the in-game asset of the Master Chief using a mixture of Citadel, Ammo and Tamiya acrylic paints and 502 Abteilung oil paints. 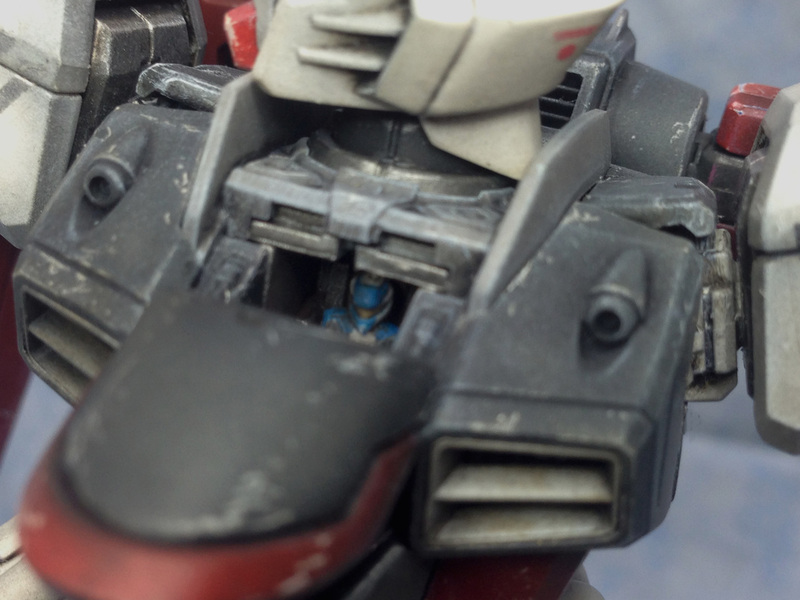 The visor was completely re-worked to look more as it appears on the game model, colours were accurized and subtle chipping, scuffing and weathering was added. The ammo counter on the file was scratch-built. 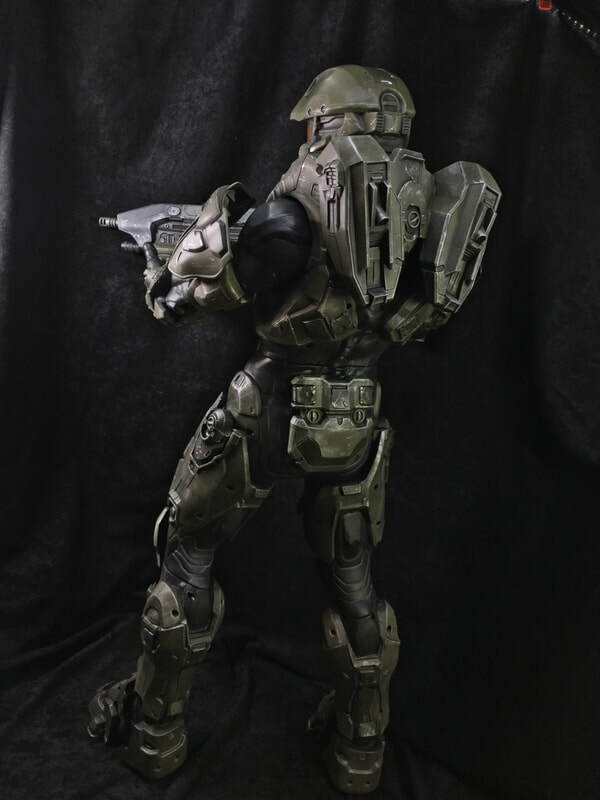 Overall, this gives a huge and impressive piece that will dominate any collection and be an awesome trophy for a true Halo fan. Painted and weathered, includes terrain added to flight base. The entire build was filmed from start to finish, so if you would like to see the build and paint in action, go check it out right here. 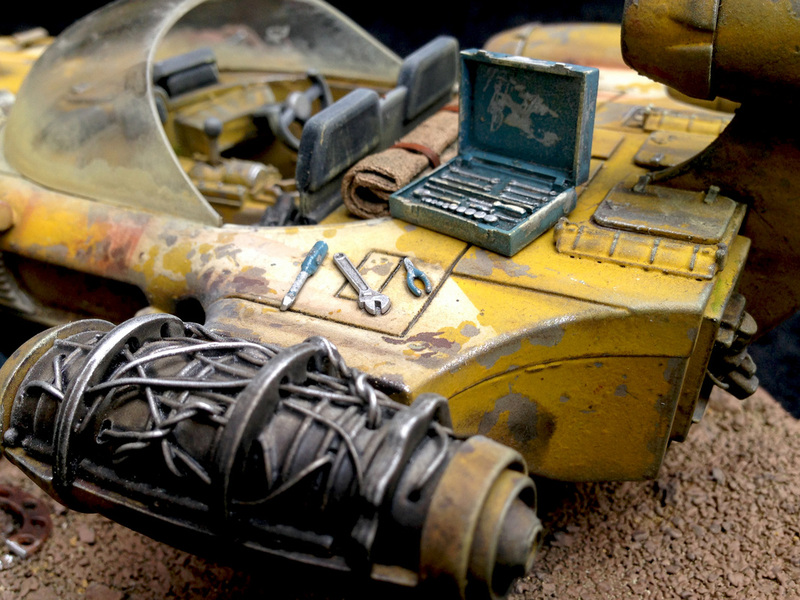 This is a fully painted and weathered build of Games Workhop's Space Marine Landspeeder Storm. 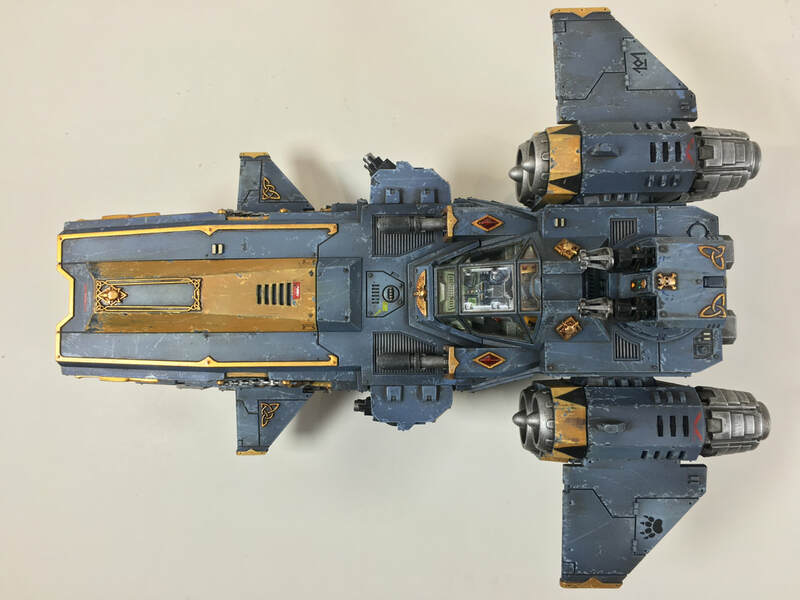 It was assembled and given a full paint job in a custom colour scheme, with subtle nods towards the 'eavy Metal painting style. Citadel paints were used exclusively, The vehicle has been lightly weathered and although given a custom colour scheme, the figures are painted similar to Cadian troops. The flight base has been enhanced with a small diorama setting. 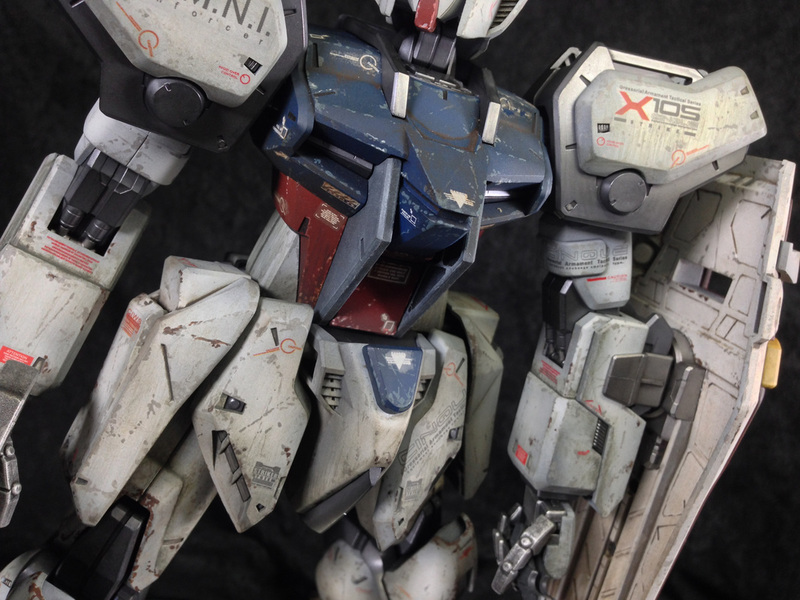 Painted and weathered, includes mobile suit, shield, beam rifle and armour schneider x2. Model does not have lighting. 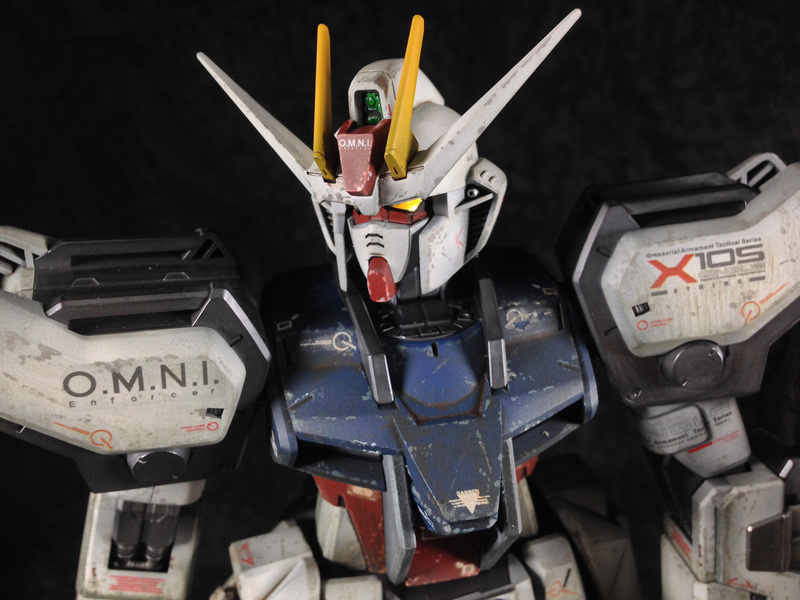 This is a fully painted and weathered build of Bandai's 1/60 Strike Gundam (no-grade). At 1/60 scale, this one-off unique display model will dominate any display space and be the pride of any Gunpla collection! The model has been hand-crafted over 100 hours using many techniques and products to have a used, battle-hardened and weathered look. The model retains all of its poseability with working joints at the ankles, knees, hips, waist, elbows, wrists, fingers, shoulders and neck. I have filled seams in the head, legs and rifle. and fully painted and weathered the model with an array of products including acrylics, lacquers, enamels, oils, pastels, graphite and pigments. Extra decals have been added to the existing kit markings for extra detail and realism, and to add a hint of that Ver. Ka feel. The inner frame parts were painted using Mr. Hobby Mr. Metal Color lacquers to get a nice shiny (but not clean) metallic sheen that contrasts with the matt armour. It no longer looks like a toy but a used, roughed-up vehicle of war. 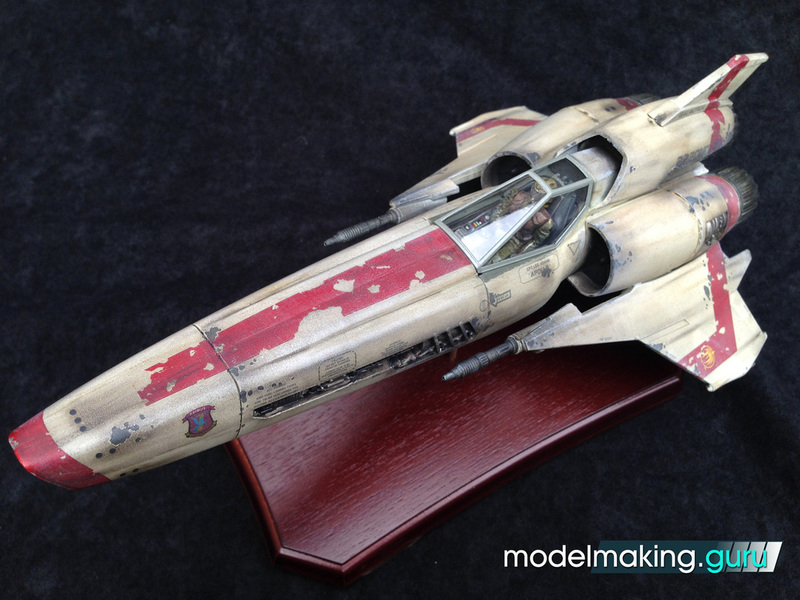 The European release of Moebius' 1/32 Colonial Viper Mk. II is through Revell of Germany. Fully assembled, painted and weathered to represent Apollo's Mk. II bird in need of some attention from Chief Tyrol. This model was built as a non-ownership commission for eModels.co.uk and the build was filmed in a series of twelve videos, which you can see at this link. As I already have a Viper in my cabinet, this piece is up for sale. Invested in the piece are 35+ hours of construction, painting and weathering. The piece is finished in acrylics, oils, and weathering pastels, and a matt varnish has been applied to protect it. Included is the custom wooden base and silver display plaque. Completed display Gunpla with custom colour shceme. 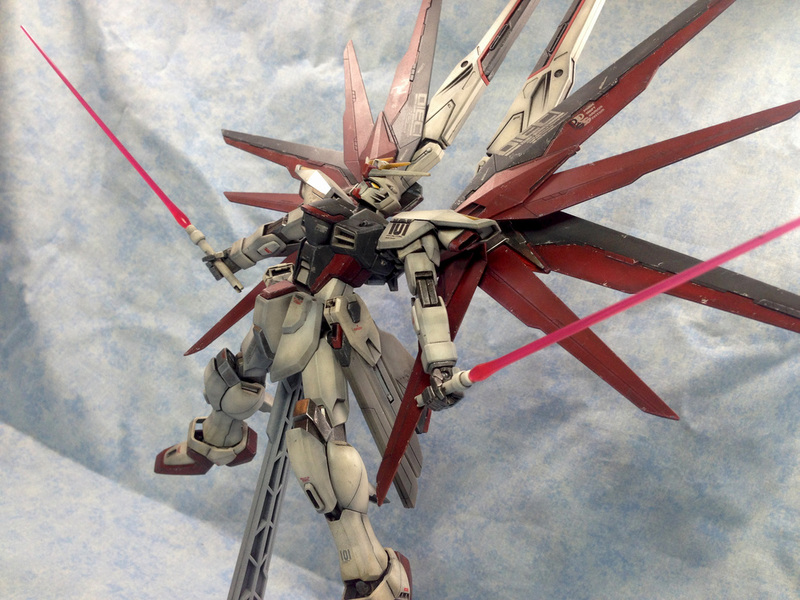 I couldn't resist building the Freedom Gundam - look at those wings! Hoo boy. 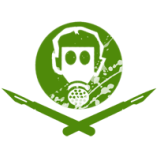 I decided on a custom colour scheme to make something a little different from the usual primary colours. Not canon, I know, but who cares? The kit was fully repainted and weathered to look used and functional, but not too battered. The inner frame was painted with metallics to keep a shiny, metal look. In-kit stickers and dry-rub transfers were ignored and waterslide decals used instead. It was built as a snap-fit kit as designed with only a minimal amount of permanent gluing resulting in articulation and poseability being maintained. 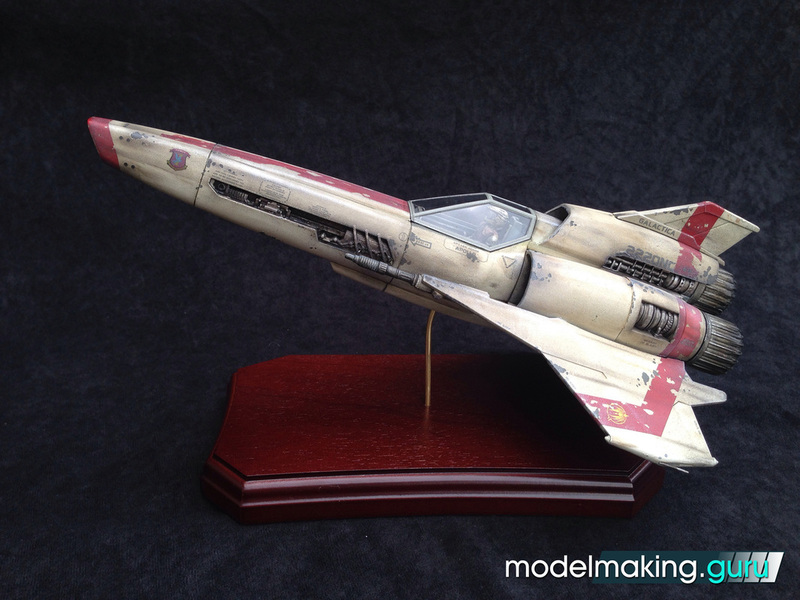 The model was finished with Tamiya acrylic paints and Mig 502 Abteilung Oil paints. A full video build series for this model is available on my Youtube channel here. 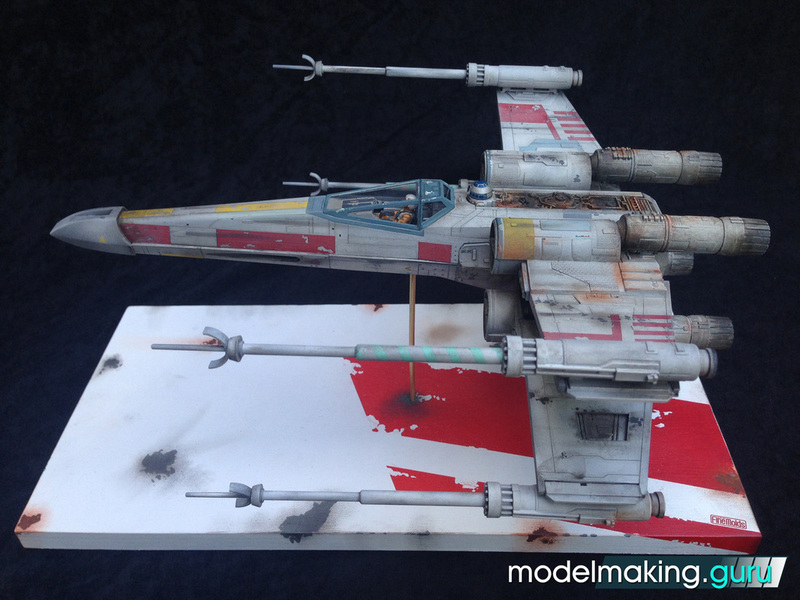 Up for sale is this fully assembled and painted Fine Molds 1/48 X-Wing display model of Luke Skywalker's "Red 5", complete with custom built display stand. Not assembled as a snap-kit, it has been carefully constructed using traditional modelmaking methods and includes over 50+ hours of construction, painting and weathering to an exceptionally high standard. 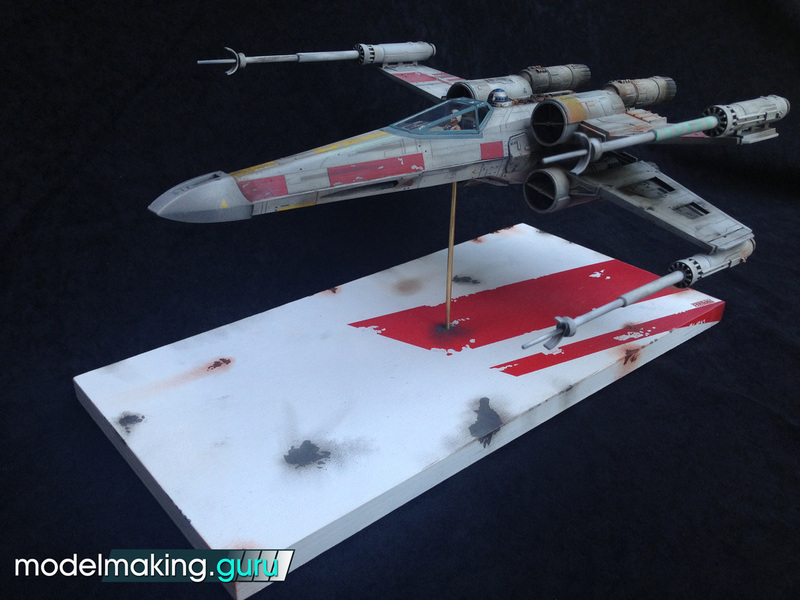 The model is finished in acrylics and oils to represent Luke Skywalker's battered, filthy vehicle, in desperate need of maintenance and repair. The model has been varnished. Included is the custom-made wooden display stand that will make this piece the pride of your collection. View the gallery here. 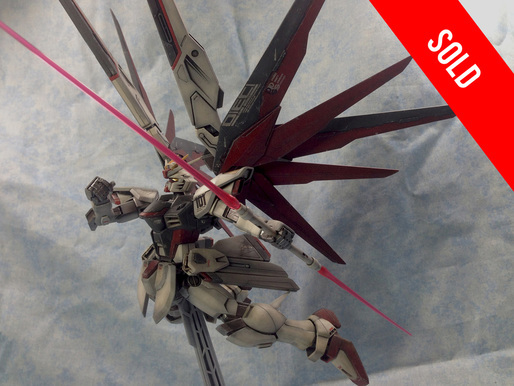 These kits are now very hard to get and will soon be discontinued and rarity will only increase the cost of a pre-built model, so snap it up now before it is too late. 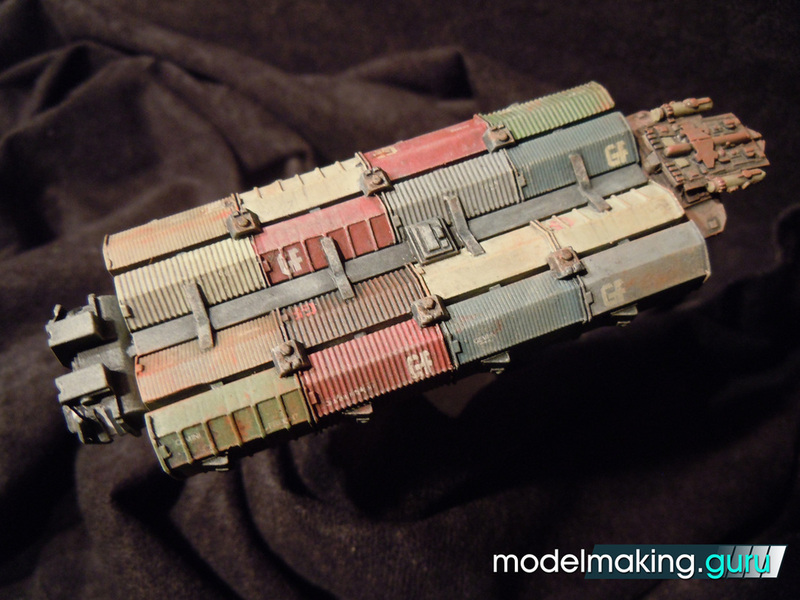 Up for sale is this charming TEENY TINY resin model of the Gemini Freighter from Battlestar Galactica. This miniscule member of the rag-tag fleet has been painted using acrylics, oils and weathering pastels to resemble a hodgepodge of the original series model and the reboot-series ZOIC CGI miniature. It is mounted on a simple wooden base adorned with the Colonial mark. A delight for any collector to add to his collection - takes up VERY little space! Up for sale is this charming diorama set including Revell's dubious-scale yet probably 1/24th Landspeeder, Verlinden's 1/24 Luftwaffe Pilot figure, tools and equipment from Tamiya's 1/24 Rally Mechanics Set and Italeri's Truck Shop Accessories set, various bits of LEGO and a bit of an old Giant Bomb t-shirt. Greebles and cockpit details have been added from a Tamiya 1/35 Panzer IV kit. 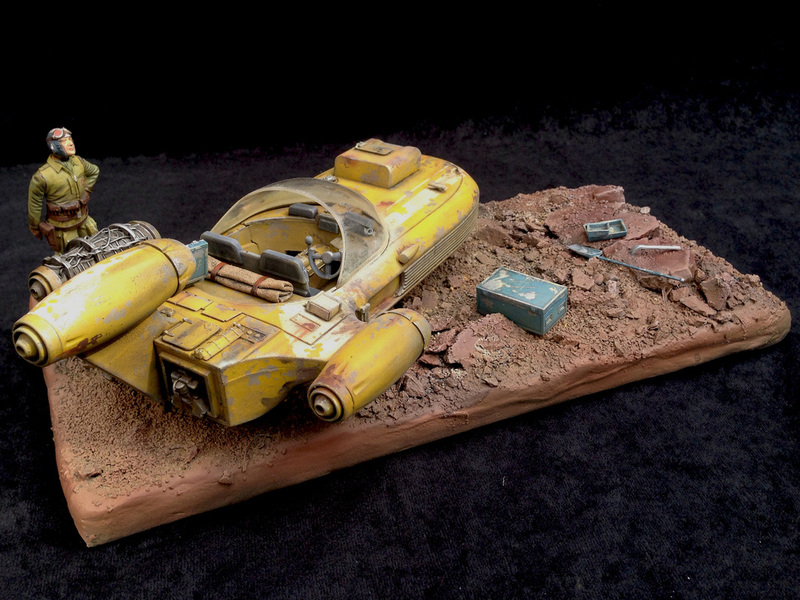 The rocky desert landscape is custom-built and the landspeeder "hovers" on two small acrylic rods. The piece was finished using a number of different mediums including wood, acrylics, oils, weathering pastels, housebrick, plaster rock, clay, railway scenery ballast and bits of my garden. A tiny unlucky creature of some sort got included in garden stuff and is forever preserved in the barrren landscape. The piece has had the living heck weathered out of it as is expected for any non-Imperial hardware. Due to the excessive weight of the piece, I cannot offer free shipping. Check back soon to see what new pieces have been added for sale!